Tickets are available at www.LiveNation.com. Single day tickets can now be purchased here. 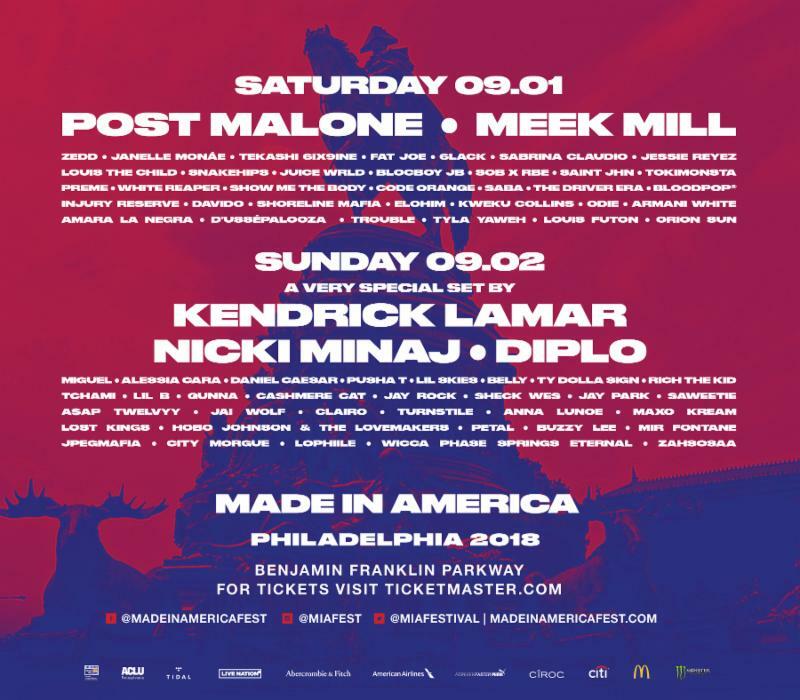 For the latest on the MADE IN AMERICA Festival, United Way Of Philadelphia and Southern New Jersey, ACLU Of Pennsylvania and new partners, please be sure to visit: www.madeinamericafest.com or download the MADE IN AMERICA app.